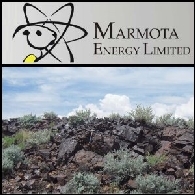 Marmota Energy Limited (ASX:MEU) is an integrated precious metal and uranium exploration specialist offering shareholders exposure to a pipeline of discovery opportunities. identifying and investing in advanced exploration opportunities with emphasis on potential near-term production and revenue capability. 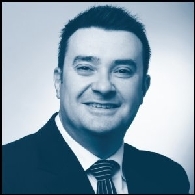 Marmota is continuing to maximise its discovery opportunities through the application of leading edge exploration techniques in our project areas. High resolution gravity data and airborne electromagnetic (AEM) surveys have successfully mapped prospective geology along palaeochannels and defined potential IOCGU targets. Marmota's tenement interests cover in excess of 10,000 square kilometres in the Gawler and Curnamona Cratons. Marmota Energy Limited (ASX:MEU) is pleased to report new high grade copper assay results from Phase 1 holes drilled on the Company&apos;s &apos;Champion&apos; prospect, on the wholly owned West Melton Copper-Gold Project on SA&apos;s Yorke Peninsula. The Phase 1 program was designed to test the significant copper and gold geochemical anomalies defined on the project earlier this year. 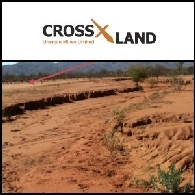 Marmota Energy (ASX:MEU) is pleased to announce calcrete assay data have been used to identify a large coincident nickel and copper-in-calcrete anomaly on Marmota&apos;s 100% owned Pundinya tenement (EL 4526) located in the Gawler Craton of South Australia. The copper and nickel anomaly extends for approximately 5 km and is located in the northern part of the Pundinya tenement. The project also contains the Pundinya uranium prospect where grades of up to 3200 ppm uranium were returned from assays. 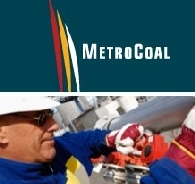 Marmota Energy (ASX:MEU) is pleased to announce it will be exhibiting at the PDAC 2012 Convention, situated at Booth 2177 in the Investors Exchange. Marmota is an integrated precious metal and uranium exploration specialist offering shareholders exposure to a pipeline of discovery opportunities. 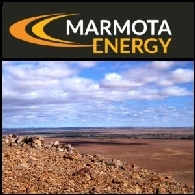 Marmota Energy Limited (ASX:MEU) is pleased to announce that high uranium grades under the classification of "true grades" have been returned from the laboratory analysis of cored drill holes taken at the flagship Saffron deposit within the Company&apos;s Junction Dam project in South Australia and located west of Broken Hill, abutting the border with NSW. Asian Activities Report for November 18, 2011 includes: MetroCoal Limited (ASX:MTE) announces a significant increase in the inferred coal resource of the Columboola Project from 540 million tonnes to 1.297 billion tonnes; Marmota Energy Limited (ASX:MEU) announces an initial resource estimate of 4.36 million tonnes of uranium mineralisation for its Saffron deposit within the Company&apos;s Junction Dam uranium project; Gryphon Minerals Limited (ASX:GRY) announces more outstanding drilling results from the Samavogo Gold Deposit at the Company&apos;s flagship Banfora Gold Project in Burkina Faso; Brisbane-based Frontier Solar Limited (SIM:FSO) has launched a A$6 million Initial Public Offering, expected to list on the SIM Venture Securities Exchange in late December 2011. 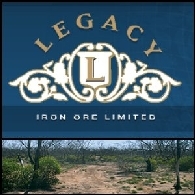 Asian Activities Report for August 4, 2011 includes: Legacy Iron Ore Limited(ASX:LCY) said today that field work at Mt Alexander has indicated potential for an additional major magnetite resource; Iron Ore Holdings Ltd (ASX:IOH) announced results of Phase 1 Pre-Feasibility Study for the Iron Valley Project in Western Australia; Diatreme Resources Limited (ASX:DRX) has lodged a mining application for the Cyclone heavy mineral project; Marmota Energy Limited (ASX:MEU) has identified multiple large-scale drill ready targets on its 100%-owned West Melton Copper Gold Project; Lanco Infratech Limited (BOM:532778) has been selected as a bidder for the development of the Gare Pelma Sector II coal block in India. Asian Activities Report for July 13, 2011 includes: Crossland Uranium Mines Limited (ASX:CUX) reported encouraging results from Charley Creek Rare Earth Project in Northern Territory; Marmota Energy Limited (ASX:MEU) announced significant assay results from its 100% owned Western Spur project in South Australia; Cokal Limited (ASX:CKA) has signed an agreement with Mozambique National Mining Corporation to jointly develop coal projects in Mozambique; Manas Resources Limited (ASX:MSR) reported further results from the 2011 drilling campaign at its 100%-owned Shambesai Gold Project in the Kyrgyz Republic. Australian Market Report of March 17, 2011 includes: Marmota Energy Limited (ASX:MEU) announced significant iron and manganese results from its Western Spur Project in South Australia; ElDore Mining Corporation Limited (ASX:EDM) has acquired a 100% interest in the Baita Copper mine in West Romania; Kangaroo Resources Limited (ASX:KRL) signed a 300,000 tonne coal sales contract with PT Bayan Resources (JAK:BYAN) (PINK:BYRSF); Matsa Resources Limited (ASX:MAT) announced high grade Fe results from Dundas Magnetite Project. 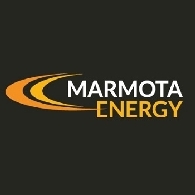 Marmota Energy (ASX:MEU) is an Australian based mineral exploration company operating in the mining friendly state of South Australia. Marmota is an established multi commodity explorer focused on developing uranium, precious and base metal mining projects with the objective of becoming an independent minerals producer. 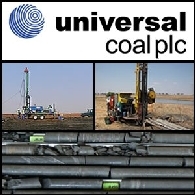 Australian Market Report of January 27, 2011 includes: Universal Coal plc (ASX:UNV) makes strategic coking coal expansion acquisition in South Africa; Marmota Energy Limited (ASX:MEU) received significant iron results in South Australia; African Iron Limited (ASX:AKI) intersected further significant DSO Iron Mineralisation in Congo; Chesser Resources Limited (ASX:CHZ) received further high grade gold results in Turkey. 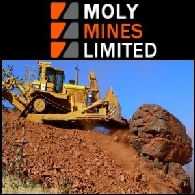 Australian Market Report of October 21, 2010 includes: Moly Mines Limited (ASX:MOL) signed an iron ore sales agreement with China; Uranium Equities Limited (ASX:UEQ) confirms high uranium grades at Nabarlek Project in Northern Territory; Marmota Energy Limited (ASX:MEU) commenced drilling at Angel Wing Gold Project in USA; Metaliko Resources Limited (ASX:MKO) has commenced a 21 hole reverse circulation drilling program at its Anthill Gold Project in Western Australia.